He completed his M.B.B.S from the prestigious Madras Medical College in 2007. He stood "first in the All India PG medical entrance examination" in 2008 and joined M.D(General Medicine) in JIPMER, Pondicherry. He completed his M.D in 2011 with 3 gold medals and received an award from Dr Manmohan Singh, Honourable Prime minister of India for the best outgoing Postgraduate. 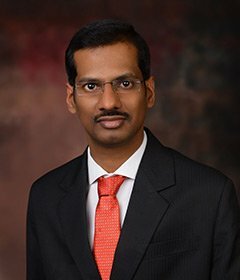 He did his Superspeciality D.M Cardiology training in JIPMER, Puducherry from 2011- 2014. After his super speciality training, he joined as Junior consultant Cardiologist in GKNM hospital and worked in Cardiac cath lab and Intensive care unit for 2 years. In appreciation of his work, he received the Meritorious service award from GKNM hospital in 2016. He has 10 publications in various national and international journals.